Kandi Burruss has taught her daughter well. The proud mama recently took to social media to share the ways in which her mini me, Riley, has learned to put health and wellness at the top of her priorities list. Kandi took to Instagram to show a side-by-side photo of her daughter, to demonstrate how she’s changed over the past year. 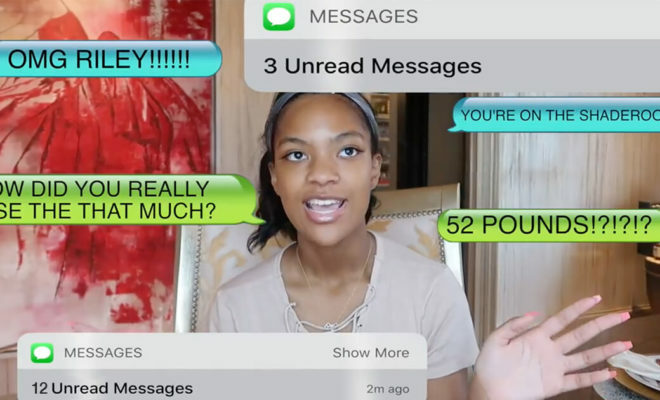 Riley looks fantastic in both images, but Kandi clued fans in to the fact that the teen has shed about 50 pounds as the result of a more active lifestyle. “Last year (around September I think) Riley decided to get serious about being fit,” Kandi wrote to caption the pic. “With the help of her trainer @iamthekingoffitness she’s lost 52lbs!!!! & she did it the right way by working out 5 days a week & watching her calorie intake.” Wow, that is some serious commitment! Kandi shared some intimate details behind Riley’s transformation. “Y’all just don’t understand how hard it is to grow up in front of the public eye & in front of social media trolls who make negative comments about kids weight. Luckily Riley has tough skin & doesn’t let it bother her but as her mom it used to piss me off when trolls would make negative comments about her size. Nobody knew she was over 200lbs because my daughter is tall. She’s 5’9. & to be honest she wouldn’t tell anybody how much she weighed but now she proudly shares it because she wants to motivate other people who are going thru the Weightloss struggle,” Kandi shared. And Riley has taken to YouTube to open up about her weight loss journey and hopes to help others along the way. Way to go Riley! We are so inspired.